8" Long. 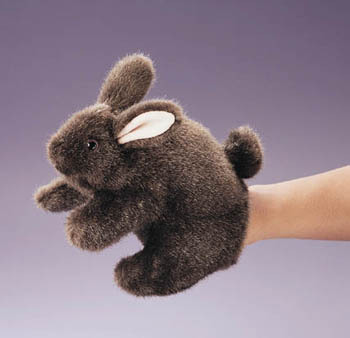 This shy little chocolate bunny can burrow into the crook of your arm or hop with the motion of your hand. Work all four feet and nose to animate this curious and gentle creature for your favorite rabbit tale.